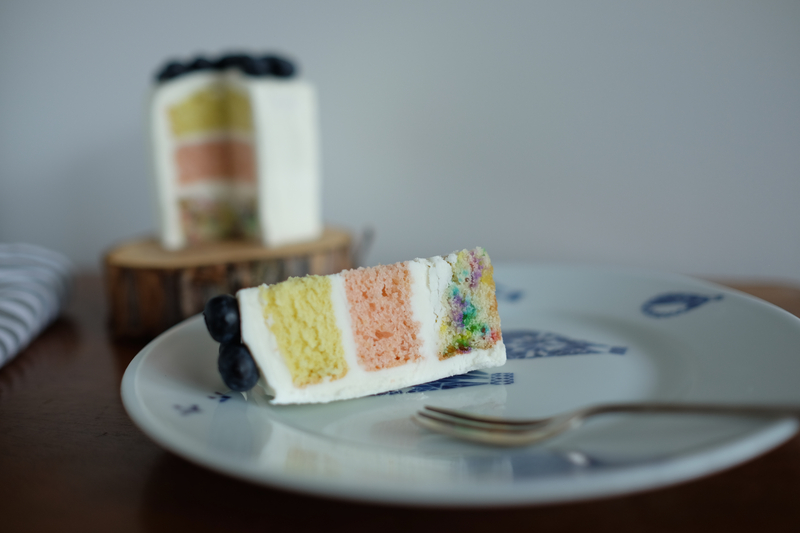 I made a wedding cake with three different layers and I wanted to see how they all looked and tasted, so with each layer I baked a mini square cake. The bottom layer was vanilla with rainbow hundreds and thousands, the middle pink lemon sponge and the top yellow coconut sponge. 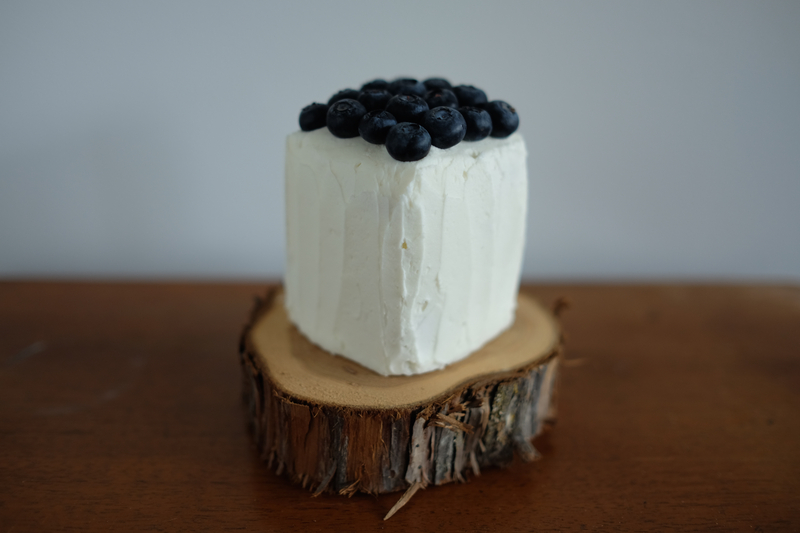 I made it into a mini tower and covered it in lemon buttercream icing and I put blueberries on top. The colours looked great together! Mini wedding cake of Lucy & Ian’s Wedding cake. 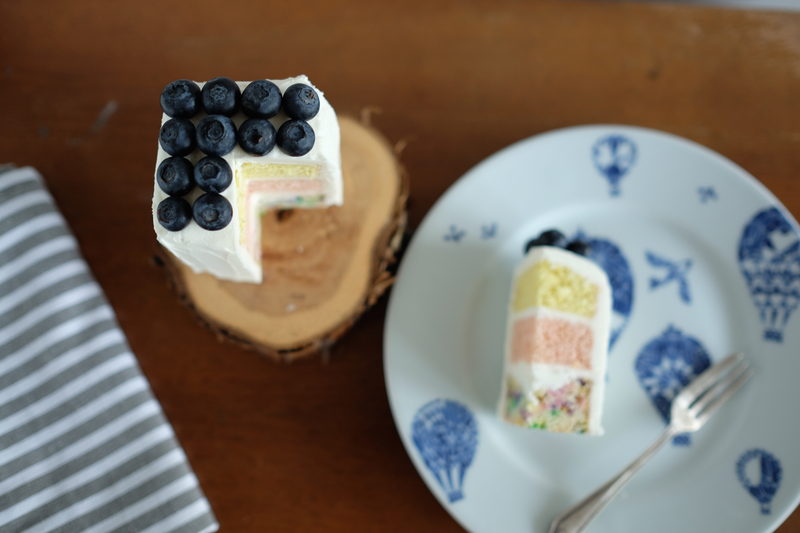 Hundreds and thousand vanilla sponge, pink lemon sponge and yellow coconut sponge with lemon buttercream icing and blueberries. The inside. Mini wedding cake of Lucy & Ian’s Wedding cake. Hundreds and thousand vanilla sponge, pink lemon sponge and yellow coconut sponge with lemon buttercream icing and blueberries. Love how seriously fun yet elegant this is! 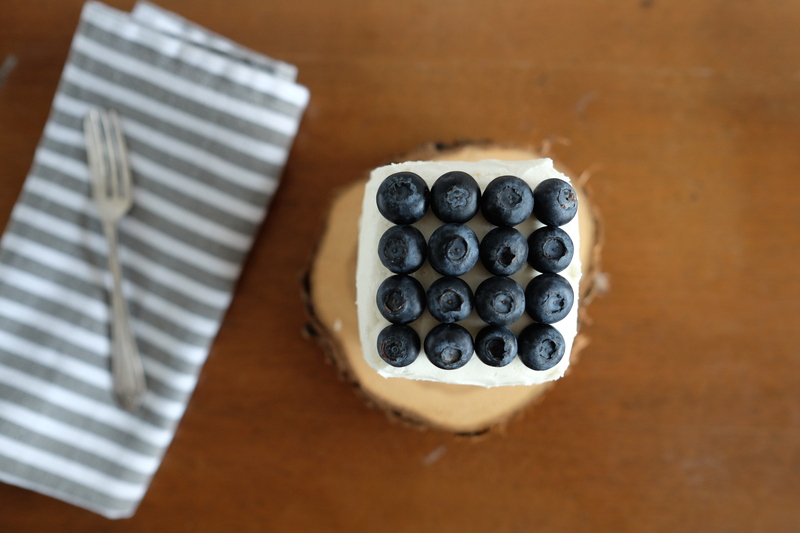 This looks like the perfect cake.